Enterprise Resource Planning (ERP) has become an integral part of businesses in recent years, given its immense benefits in not only improving the effectiveness of operations but also as a means to stay a step ahead of the competition. 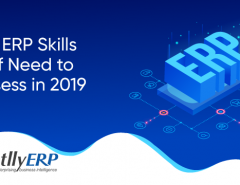 However, most businesses still ignore or undermine the importance of employee training, which is, in fact, amongst the most crucial elements in ensuring the success of the ERP tool. Most companies have the attitude that employees will "learn with time" when it comes to ERP. In reality, this is a completely false notion. Without proper assistance, the learning curve is prolonged or even flattened. Employees find it hard to understand the objective or even the reason why the new tool has been implemented. If the employees start to resent the new tool, they will not have incentive or motivation to master it. Furthermore, lack of investment from the workforce hinders ERP from reaching its full potential. If you have any doubts regarding the importance of employee training for successful ERP implementation, here are 7 reasons to convince you otherwise. 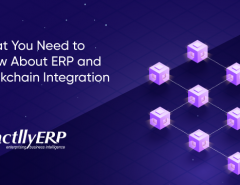 During ERP implementation, the primary focus is on the tool itself, the changes required in hardware and existing infrastructure, and the manpower that would be required to implement it. However, the important factor often overlooked is training the end-users. Like we mentioned, end-users are the people ultimately responsible for using the tool to get the work done. Trailing the employees make the entire implementation process not only successful but also faster. Lack of training of employees often leads to the unused potential of the tool, and sometimes, even failure to completely implement it in the organization. Thus, if you want to successfully implement a comprehensive system like ERP, employee training must be high on your checklist. It is quite obvious, isn't it? In the scenario where training is not provided, employees are not equipped to deal with problems, if and when they arise. They either give up or wait for someone else to solve it for them. On the other hand, when proper training is provided, employees are able to solve such issues on their own. They understand the tool and its full potential, and thus, are able to utilize it. They also don’t need to consult the documentation to remember every single function. 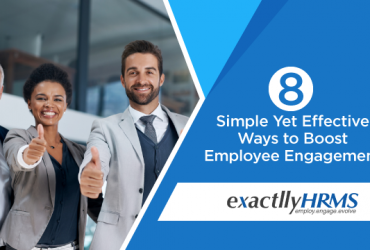 All of this together contributes to higher employee productivity. You might wonder how devoting extra time for training would actually be time-effective. However, this is what most companies with proper ERP training and most vendors providing that training have realized. Once the ERP is implemented in your company, it is deployed for the end-users for daily processes. A properly-trained staff is better-equipped to use ERP for business tasks. They realize the full potential of the tool and are able to make the most of it. A lot of time that would have been spent otherwise in troubleshooting or understanding anything new that occurred, is saved. Furthermore, they are able to use the tool faster than their untrained counterparts would have. As you might be aware of, time equals money in business. With all the time saved by training employees in ERP, you have a workforce that is spending optimal time in performing tasks. Instead of paying them for the time they spent in troubleshooting new issues or placing the request for someone else to solve it for them, you now pay them for the work they did. Employee training during ERP implementation might seem like an extra overhead, but it is more than worth it in the long run. The core objective of ERP tool is to streamline the processes throughout your organization and ensure that everyone is on the same page. However, lack of training among employees means that most employees would not understand this core objective and continues with dealing with separate data repositories, giving rise to the errors like redundancy and inconsistency. However, proper training instills in your workforce the core objective and enables them to be on the same page. Same data is shared across all departments, so the chances of human error due to inconsistency is minimized or even eliminated. Also, it improves the quality of data you use in your company significantly. 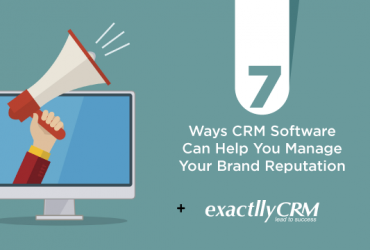 It goes without saying that all these factors work together to provide better results for your company. A workforce dynamics are formed because employees not only understand the core ideology of ERP but also understand the underlying potential it holds. In other words, all the benefits that ERP promised you are achieved because your workforce is working together to achieve them. It has been observed that most companies needed to hire new employees after implementing ERP system, the reason being that organizations realized that the existing employees were simply not able to adapt to the new system, leading to poorer results. Thus, new hiring had to be made in order to keep up with the new system. However, the process is counter-productive because new hires would still need some time to adjust to the company. Not to mention, older employees are more loyal and understand the company, its working and objectives better. 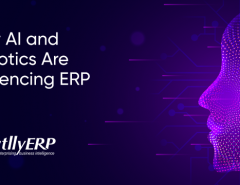 A successful training program of ERP will make it easier for existing employees to adapt to the new system and not become redundant in the process. A company is made up of its workforce, so it is upon you to aid them in transition instead of discarding them. Despite appearing to be just another “unnecessary formality” during the ERP implementation process, employee training is vital and indispensable for the successful implementation of ERP. The time and funds devoted to the training are more than compensated in the long run when your employees are better trained to use the new tool and maximize its effectiveness. It must be remembered that a tool is only as good as the hands that wield them.